Microsoft Office 2010 has been released to manufacturing, with the final stage of the development process meaning that the next generation of applications like Word, PowerPoint and Excel are close. The RTM stage means that the software has been readied for its public bow, allowing computer manufacturers to prepare for launch. The news was released by Microsoft's Takeshi Numoto on the Office blog, and he explained that the team had 'poured their heart and soul' into reaching the milestone. "Since the start of our public beta in November 2009, we've had more than 7.5 million people download the beta version – that's more than three times the number of 2007 beta downloads," he said. 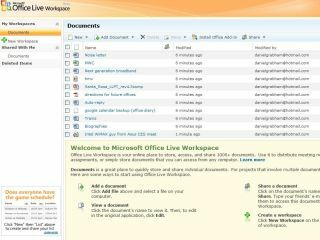 "Earlier this year we announced that we will officially launch Office 2010 to our business customers on May 12. "Office 2010 will first become available in retail stores in June in the US, and customers can pre-order these retail versions of Office 2010." The UK pricing for Office 2010, when it finally arrives, will range from £109 to £430, bringing major upgrades of all the familiar software, and the much talked-about online functionality – as Microsoft seeks to quell rivalry from the likes of Google Docs.